Kashi Vishwanath, a manifestation of Lord Shiva, is the patron deity of Varanasi. The idol is a jyotirlinga, one of the 12 jyotirlingas in India. The Kashi Vishwanath temple has been built and re-built several times over the past few centuries. The present temple was built in the 18th century by Rani Ahalyabai Holkar of Indore after Mughal emperor Aurangzeb destroyed the previous temple and built a mosque at the site (now adjacent to it). 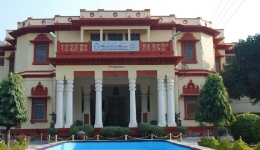 Bharat Kala Bhavan is located inside the Banaras Hindu University campus. It displays India’s heritage and preserves the past of the nation. It is divided in several sections in the form of galleries such as Mahamana Malviya Gallary, Nidhi Gallery, Nicholas Roerich Gallery, Archaeological Gallery, Chhavi Gallery, Sculpture Gallery and Decorative Art Gallery. Banaras Hindu University is one of the largest universities in the world and a prime attraction in Varanasi. 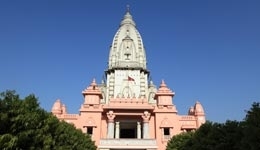 It was founded by Pandit Mohan Malviya in 1916 and is internationally reputed. Spread over an area of 1350 acres, BHU comprises of 3 institutes, 4 interdisciplinary centres, 14 faculties, 124 departments and 3 constituent schools covering all branches of humanities. 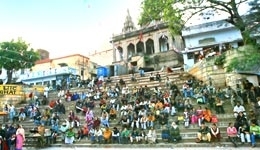 Assi Ghat is the southern most ghat in Varanasi. It is located at the confluence of Ganga and Assi rivers. 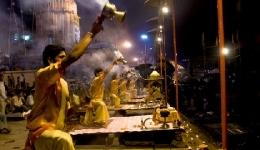 In the evenings, there is an aarti at Assi ghat which attracts many tourists. Pilgrims bathe in the waters at the ghat before paying homage to Lord Shiva. It is the best place to witness Hindu culture and traditions as well as a beautiful sunrise. Located near Ganges river on its eastern bank, Ramnagar fort is a structure in Varanasi built in 1750 by Kashi Naresh Raja Balwant Singh. The architecture of this fort is a blend of Indian and Islamic style. During Dussehra, the fort and its surroundings are decorated magnificently and it’s certainly worth a visit. Dashashwamedh Ghat is one of the oldest and most important ghats in Varanasi. In the early 16th century when the Marathas were ruling over the region, th3ey built several ghat sin Varanasi that lined the holy river Ganga. There are a total of 87 ghats in Varanasi.